Chakras are checkpoints in your body that control the flow of energy. Energy flows both horizontally and vertically, so if your chakras are not aligned properly, your body won’t feel right. It’s important to maintain a healthy diet, exercise, and minimize stress in your life to keep your body healthy and your chakras flowing properly. You can also realign your chakras manually to help your body function better. 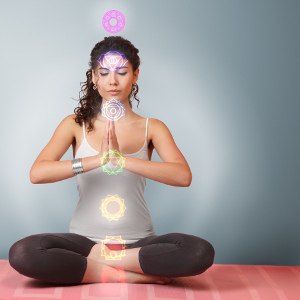 Here are five simple steps for aligning your chakras. Once you've prepared your environment, you can make yourself comfortable by laying down or sitting comfortably. Some people like to adopt the lotus leaf position that is common in meditation, while others prefer to lie on their backs. The important thing is that you are comfortable and will not have to move for a period of time.